Wow, August is already almost over! Time sure has flown by for us, how about you? Thanks to you, our continued growth keeps us ever busier year-round. We’ve been busy getting our new and updated online store live, planning for the new Heirloom Seeds catalog, writing articles and working in the garden and playing with our new Dalmation puppy, Aurora. Thanks so much to all of you who sent in photos, we enjoyed seeing the different approaches to gardening. 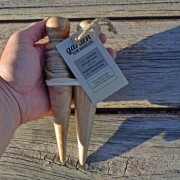 We will be putting them up in a customer garden section on the website. Thanks also for all of the reviews, they really help others in making choices of which variety to grow in different parts of the country. We are pleased to congratulate Brenda from Roundup, MT as our August gift certificate winner for submitting a review. She wins a $25 gift certificate, and your chance is as good as ever as we are continuing the drawing through September. All you need to do is send in a review of one of our seeds that you’ve grown and your name is in the basket! To see how to enter a review, see our Late July Newsletter. We’ve got some great recipes, thoughts and videos to share with you, so let’s dig in! For the absolute best aroma and flavor, basil must be used fresh – the fresher the better. Luckily for us, it can be preserved through several different methods and brought out in the depths of winter to remind us of what summer was. Read All About Basil for several tips and recipes to keep these flavors until later in the winter. We are very pleased to announce that the first batch of milkweed seeds has arrived! We are packing and shipping the pre-orders now. Many thanks to The Xerces Society Facebook page for mentioning our project and the seeds. This is the result of a year-long collaborative effort between The Xerces Society, Painted Lady Vineyard and Terroir Seeds to grow a regionally adapted milkweed species for the arid Southwest and inter-mountain West climates. For those who haven’t read our article about this great project, including the updates, “Growing Milkweed for the Monarch Butterfly” has all of the details, photos and video of the seed cleaning process. 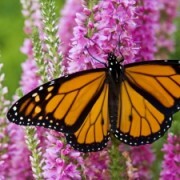 To order Milkweed seeds, click on the link. 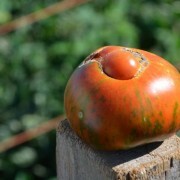 Have you thought about starting to grow something tasty this fall, but don’t know where to begin? Many people are interested in the idea of growing fresh greens in the fall and winter, but lack the experience, have little to no space or time to start and maintain a garden, no matter how small. Here’s a way to start small, with an excellent success rate. Sprouts are a great example of what can be grown in any climate, at any time of year, with no soil, sunlight or space requirements. Four square inches on a countertop is all that they need. In fact, backpackers will continually grow sprouts during long, multi-month trips to eat and feel better. Sprouts are nutritional powerhouses- packed with minerals, protein, amino acids and the enzymes needed to digest them. All of this is available in 4-6 days for smaller sprouts or 7-8 days for larger, leafier, greener sprouts, also known as micro-greens. Best of all, they need no soil or sunshine, will grow in any climate at any time of the year and contains more nutrients per calorie than any other type of food. 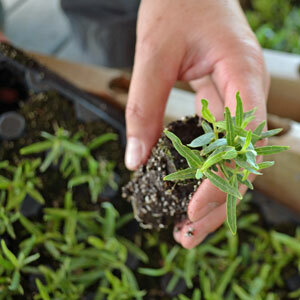 You can grow them on your kitchen windowsill or in the cupboard with no experience growing whatsoever. 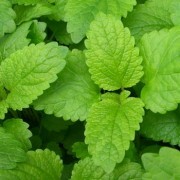 They are very inexpensive to get started with and are the easiest thing to grow. For a tasty treat, look at our Sprouting Seeds and Supplies. As we mentioned in our last Newsletter, we’ve been working on updating our online store and it is now live. It is more secure, easier to use and share with others through social media and email. We’ve worked to simplify it, yet make it more useful and it is now ready for you! Please take some time to look at our new online store, browse around and let us know your thoughts. Many of your suggestions have gone into improving this version, and we’d love to hear how we’ve done. We are pleased to share this with everyone as an invitation to help this particular program, but also to be inspired and invited to work within your local community to create something similar! 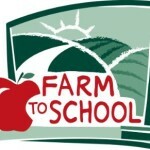 Please read Farm to School Program – Local Food for Our Schools.